LOOKING FOR THE BEST AUTO DETAIL NEAR ME? 5 Point Auto Spa is your one stop shop for all your auto care needs. With several locations in beautiful San Diego, we are have the friendliest staff and our ultimate goal is to delivery you with the highest quality service. Living in San Diego, we are lucky enough to have sunshine and beaches, but those pleasures of our SoCal lifestyle can take a toll on your car. Parking by the beach can leave sand, salt, dirt and debris attaching to your vehicle’s paint. Driving up HWY 67 to hike Mount Woodson, your car will be faced with the elements out on the open road. 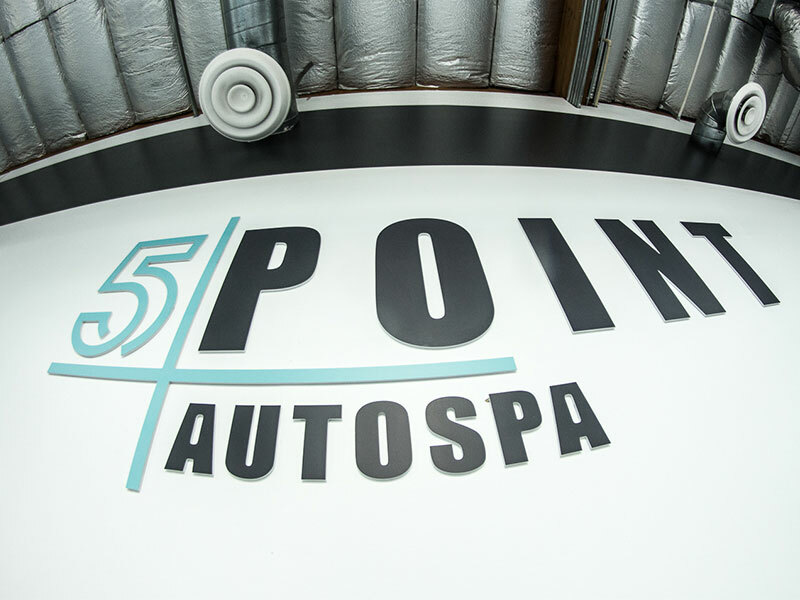 At 5 Point Auto Spa we are experts when it comes paint protection, auto detailing, Ceramic Pro & Clear Bra and window tinting. If you love your car and want to keep it looking its best, than you’ve come to the right place here at 5 Point Auto Spa. Your search for the best auto detail near me ends here with us. Centrally located our Kearny Mesa location serves the greater San Diego performing top of the line auto detailing, Ceramic Pro installations, Clear Bra, Window Tinting and more. With our doors opened since 2003, we provide service you can count on. Our beautiful facility is maintained in perfect condition for the sole purpose: to make your car beautiful. 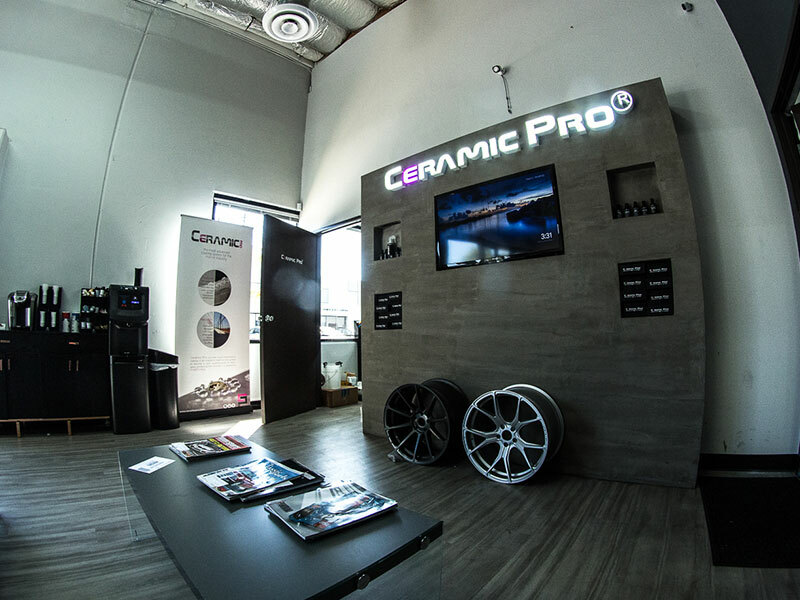 With national Ceramic Pro trainings held at this location, we keep our facility immaculate and use high quality products to perfect your vehicle. Come see 5 Point Auto Spa in Kearny Mesa today to take care of all your auto care needs. Located in beautiful Carlsbad, our shop welcomes you with open doors, free coffee, big windows and the friendliest staff on the planet. Our mission is to provide you with exemplary service and you’ll feel that when you come see us. If you’ve been searching for the best auto detail near me, then your search ends here at 5 Point Auto Spa. We have several locations around the county including our Kearny Mesa facility, Carlsbad and Vista. Whatever area of San Diego county you reside in, you know you can count on 5 Point Auto Spa to take care of all your auto detailing needs.